Twelfth Night, the last day of Christmas feasting, the last night of holiday, is the day before normal life resumes. It is the time to put on masks and disrupt the normal order of life. Carnival, according to the Russian critic Mikhail Bakhtin, “celebrated temporary liberation from prevailing truth and from established order; it marked the suspension of all hierarchical rank… the feast of becoming, change and renewal.” The play Twelfth Night itself is likewise, a suspension in time, but a conscious one, making the spectator aware of the interplay between festivity on one hand and real life on the other. This is because, while the plot is both preposterous and entertaining, its implications are far more serious. 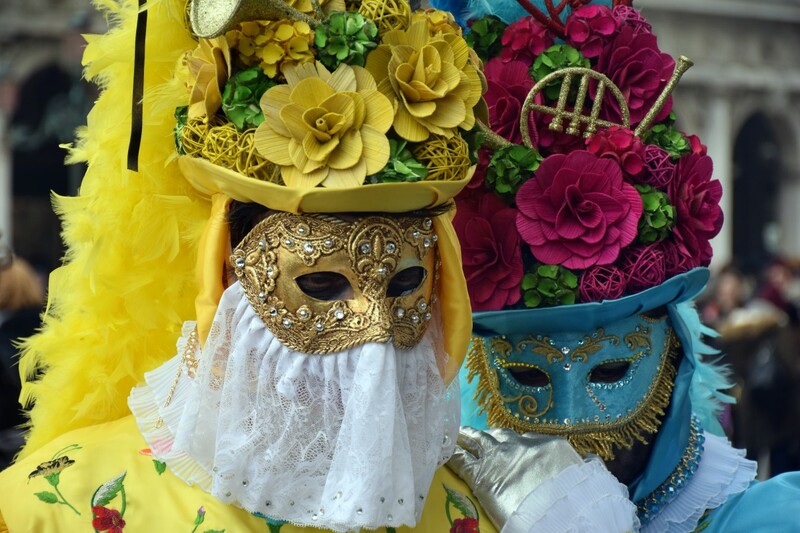 Twelfth Night is a festival in some branches of Christianity marking the coming of the Epiphany. Different traditions mark the date of Twelfth Night on either 5 January or 6 January; the Church of England, Mother Church of the Anglican Communion, celebrates Twelfth Night on the 5th and “refers to the night before Epiphany, the day when the nativity story tells us that the wise men visited the infant Jesus”. In fact the second title may be compared to the title of As You Like It. By appending the subtitle Shakespeare possibly meant to say merely, as Conrad suggests, “ …herein are to be found comicalities of all kinds…disguises and delusions and mad pranks. What to call it, I know not, call it a ‘masquerade’, ‘a twelfth night’, or ‘whatever you like’.” In fact, the play being a broken landscape of the illusory world of Illyria, full of love and laughter, fancy and imagination, it is hard indeed to pin it down to a specific title. The central game of disguise in Twelfth Night is highly improbable. Orsino employs the shipwrecked Viola (Dressed as a boy), to woo the countess Olivia for him. The situation already contains a potential for a comedy, rendering(giving) a greater cognition(knowledge) to the audience compared to the characters. This position of superior knowledge is reinforced when the audience learn that Viola’s brother (Sebastian) is still alive. The love triangle including Orsino, Viola and Olivia makes the entire situation quite complex. But this dance of courtship takes place against a less frivolous background centered around the inhabitants of Olivia’s household yet it is in this arena that the presence of a single character bridges the gap between the world of play and the reality- Feste. His function includes the uttering of general comments which bear no specific relation to events taking place on stage but remind us of the complexities which exist in non-festive world. Quite strikingly the phrase “Twelfth Night” is first uttered in a conversation between Toby and Andrew- the two most important figures of the sub-plot. While Toby plots for deliberately deceiving Malvolio, Andrew deceives himself unknowingly. Thus the title is best suited to the temperament of revelry of two drunk men. These characters hold up action, wasting and ignoring the demands of time. But they do conspire together to produce their own action, showing even a kind of cruelty. Thus, while the disguises and tricks go on, there is an air of menace. “Carnival” observes Kate Flint, “… can be cruel; can tread on the edge of danger”. This cruelty, as the play shows, can be present unrecognized in the normal life and attitudes as well as in drama which uses exaggeration to make this more prominent. “… a royal wedding or great public celebration would have been incomplete without executions…there is no feast without cruelty”. 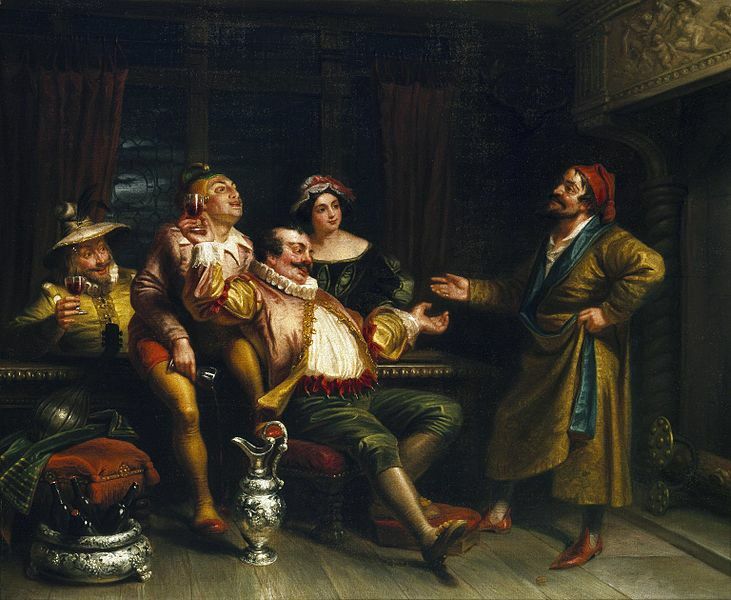 The cruelty in gulling of Malvolio, the melancholic music of Feste then is not a deviation but a necessary ingredient of Twelfth Night’s festivity. Indeed, the world of carnival, mingling pleasures with pain, exaggerates tendencies of real life rather than providing an escape from it. 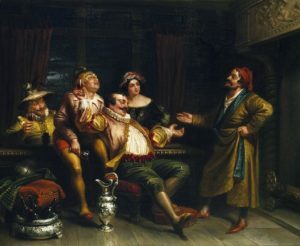 On the level of events, every character (except Malvolio) attain what they willed, but in their achievement there is a great deal of dramatic intervention – unrealistic reconciliations that makes the play different from real life. However the play does not close on a controversial re-establishment of gender relations as the pair of lovers go on to harmonious marital bliss the final focus is on the unpartnered figure of Feste. Alone on the stage he catapults the audience once again back to the cold January of real life. And in the last stanza of his song he links the world of the theatre to the normal order of existence. It marks the commencement of real life, far from the ceremonial joviality of Twelfth Night where “we make take out of it what we will…leave aside what we will, wander in it where we will”(Brooke). It marks the end of an order of dramatic existence and in establishing this difference the title is aptly justified.